What can we expect to see in the security market in 2015? The role of security is expanding beyond its traditional definition, and 2015 will see businesses adopt security solutions for business intelligence, among other things. Learn how security is expected to evolve in 2015 and beyond in this week’s blog. Cloud-based solutions are ideal for small and mid-sized enterprises that don’t have the resources for a comprehensive proprietary system. 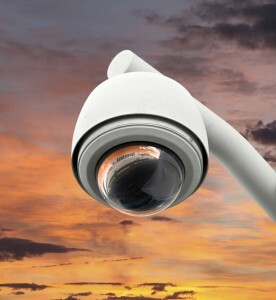 Cloud-based solutions such as VsaaS (video surveillance as a service) offer an affordable and effective alternative that meets businesses security needs without breaking the bank. Plus, the cloud offers remote access and a flexible, scalable solution with room to grow. All in all the cloud offers a great value for small and mid-sized businesses. Video surveillance was originally intended to provide a security solution, but intelligent software apps have allowed to it provide businesses with vital information for other areas of their operations. For example, video analytics can track where customers congregate in the store, or how foot traffic is distributed relative to time of day. This and other data can be used to direct marketing efforts and increase the return on a security investment even further. As the physical and virtual worlds become ever more intertwined with concepts like the Internet of Things, security needs to evolve to secure the space in which these two spheres interact. Financial institutions, for example, need to take extra steps to protect customers’ personal information, which is often used in both physical spaces (ATM) and online (online banking). Mobile functionality is no longer a luxury. Businesses expect mobile access and functionality across the many components of their operations, and security is no exception. Business owners can access their video surveillance, access control, and intrusion detection systems remotely already. Now the focus will shift to complete remote security management via mobile apps and cloud solutions. This entry was posted on Thursday, January 8th, 2015 at 2:27 pm. Both comments and pings are currently closed.